From a disused cow shed in rural Suffolk to a 1,500 square-metre yard housing a 34m superyacht, a 21m motor yacht, a cruiser-racer and a deckhouse yacht 25 years later. This year Spirit Yachts celebrates its 25th anniversary. Find out about the journey from a disused cow shed to Spirit’s current 1,500 square-metre yard and an insight into future plans from company founder Sean McMillan. When Mick (Newman) and I started Spirit Yachts in 1993, the goal was always to build the most beautiful yachts in the world. Mick always used to say ‘why do modern yachts have to be fat, white and plastic?’. We set out to prove that theory wrong and every time I see a Spirit yacht on the water I am reminded of why we do what we do every day. 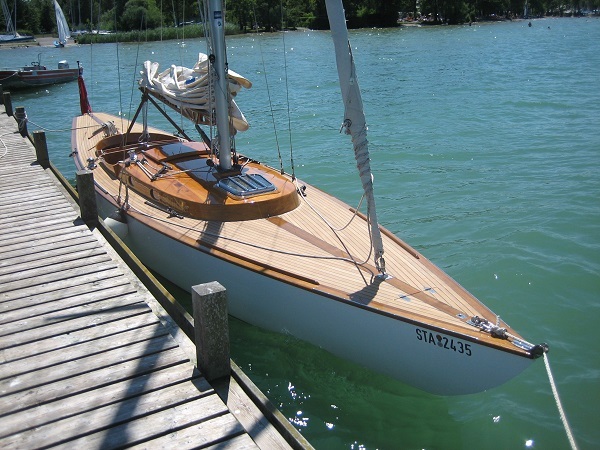 Mick and I started building yachts in redundant farm buildings in rural Suffolk, which was fine as the early boats were all relatively small (the first Spirit was 37ft). However, in 2003 we built a 70ft yacht in a 60ft shed with a crude extension at one end, which meant we didn’t have the space to see how it looked as a whole. That was the turning point as it pushed us to move into our current premises in Ipswich marina. Above: the first Spirit Yacht ever built, a Spirit 37. In 2006, there was also the small matter of designing and building a yacht for the James Bond film Casino Royale, which was undeniably a turning point for Spirit. It took us from being relatively well known in the UK to the world stage. The following year, we launched Gaia, a beautiful 100ft Bermudan sloop that can be seen competing in the annual superyacht regattas in the Mediterranean. 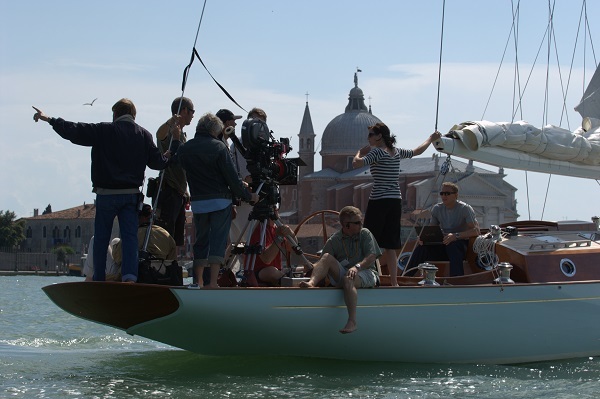 Above: filming onboard the Spirit 54 for Casino Royale. Photo: Casino Royale © 2006 Danjaq, LLC & United Artists Corporation. 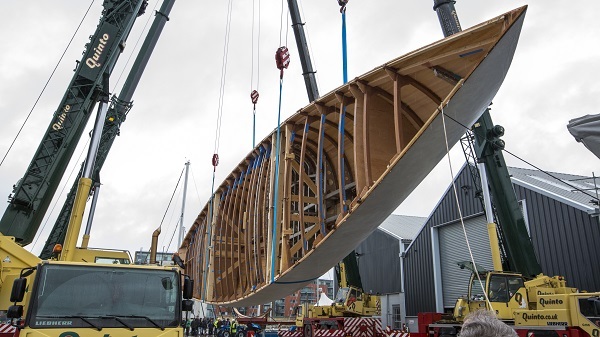 By employing the best boat builders in the world, many of whom live on our doorstep, we have continued to grow, weathering the 2008 recession and picking up a Queen’s Award for Enterprise in the process. That’s not to say the recession was easy; it really wasn’t. Above: Spirit 100 Gaia. Photo: Tim Wright. Today, the day-to-day running of the company is looked after by managing director Nigel Stuart, who joined in 2015 and has helped push Spirit Yachts on further still. Since his appointment we have doubled the size of the yard and our order book is looking very healthy for the foreseeable future. I remain committed to designing the most beautiful boats you will ever see and when I am not at my drawing board, I can be found keeping an eye on our new builds in the yard or on the tools finishing my own 40ft motor yacht. Longest journey undertaken by a Spirit Yacht: Spirit 50 Deckhouse Roving Spirit sailed from Europe through the Panama Canal and up to California. Spirit 65 Snoozle sailed from Valencia to Antigua via the Canary Islands, a journey of 4800 Nm, crossing the Atlantic in 15.5 days. 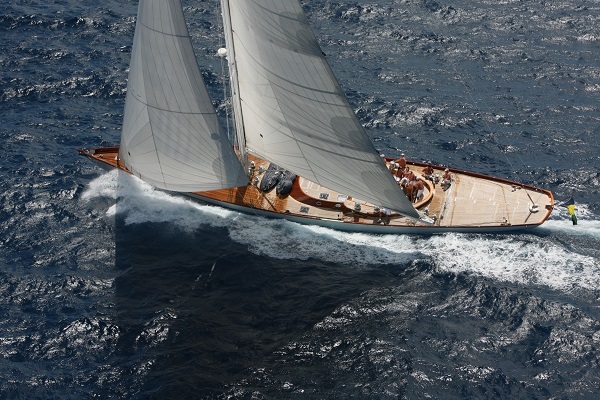 Most successful racing Spirit to date: Spirit 52 Flight of Ufford (owned by Spirit Yachts founder Sean McMillan). Most environmentally sustainable Spirit Yacht to date: Spirit 111. Eco credentials include four BMWi lithium battery banks that can be charged by propeller shaft regeneration whilst sailing, via the back-up generator or shore power. A Torqeedo electric propulsion system using a 100kW motor charges the batteries by rotating the propeller shaft whilst the yacht is under sail. On deck, the yacht is equipped with energy efficient Lewmar hydraulic deck hardware and water is heated using a Webasto system, which only heats water on demand ensuring no wasted energy. The heated water is stored within high density insulation and finned tubing for rapid heat transfer and temperature retention. Above: rollover of the Spirit 111 hull outside the Spirit Yachts yard in Ipswich. Photo: Mike Bowden.